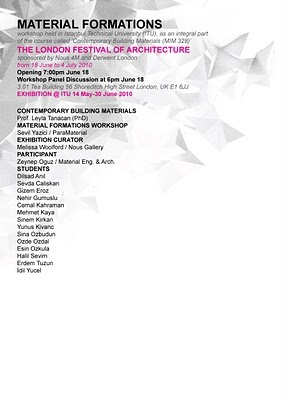 The workshop consists of 14 student aims that they question the material and form within an integral design strategy. Materials with inherent characteristics are able to perform differently when forces are applied. The intent is designing with a ‘bottom up’ approach where the material performance derive the actual design process, unlike the generic approach where the materialisation take place within a ‘top down’ engineering solution. 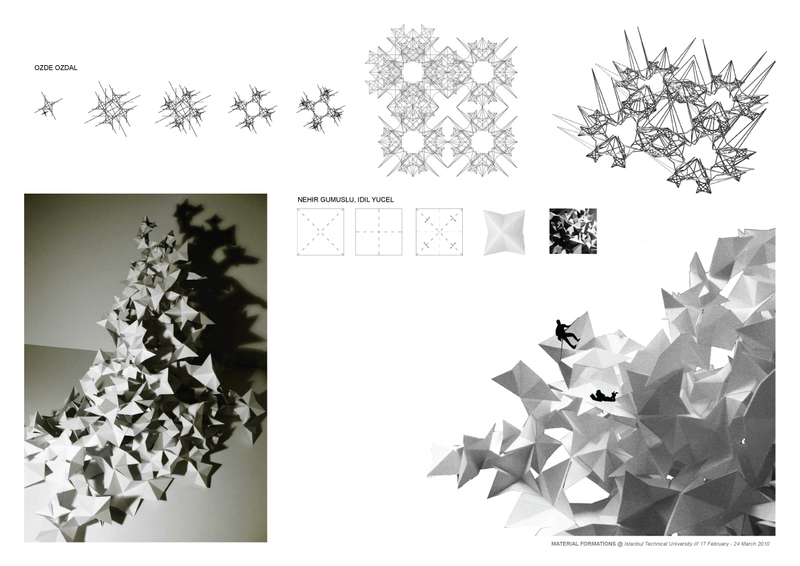 The aim is to generate the form through the knowledge of the material intelligence within an algorithmic system by investigating the notions such as generative systems, evolutionary design, rule-based design and by formalizing the system structure based on geometric relations & computing. Building elements such as structural system, building skin, floor, roof etc. 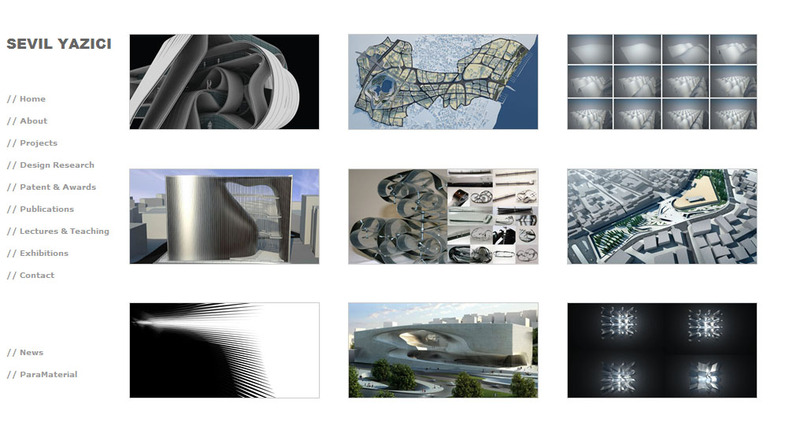 are re-evaluated, and transformed into a continuous system derived by the material performance. 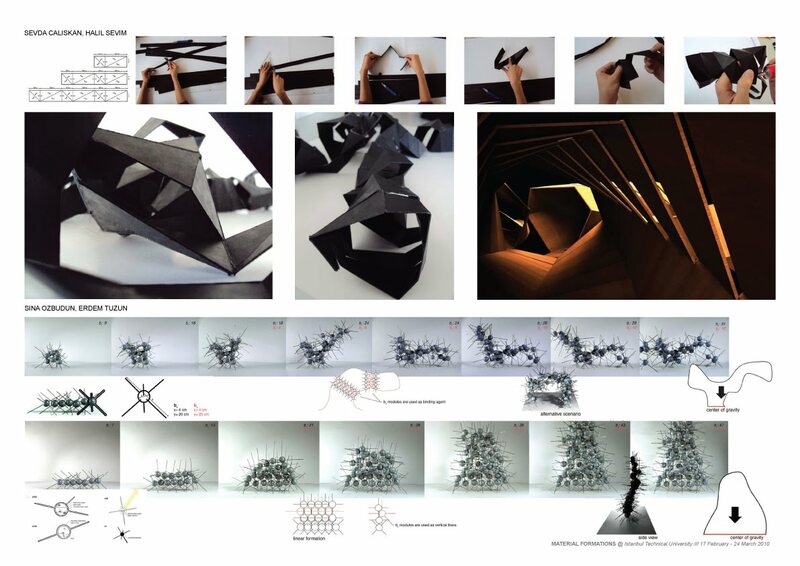 The students investigated the material behaviour & its performance through prototyping processes.